Dec 08, 2013 Thank you so MUCH!. I called on Sunday evening out of desperation because I needed to have my oven fixed by the next day. To my total surprise, someone answered the phone and answered my question so that I could finish my repairs. Totally awesome. I wish i could anticipate this kind of customer service in the states. Thanks again Howard, you guys ROCK!!! Apr 30, 2013 I am still thrilled that you repaired the timer. I have been in contact with Sears and they are in the business of customer non service. I contacted the consumer advocate, Clark Howard, and told him of the problem with Sears and that you did a great job. Hope that is ok.. I also hope you will be repairing shortly. Apr 11, 2013 We received, installed and have used the oven several times. Your service was far beyond what we have come to accept as normal by today's standards!! Thank you for your prompt and efficient service . It's not often you can say it was a total pleasure to do business with a company. Apr 10, 2013 Howard, I can easily say that you and your team exceeded my expectations on my oven timer repair. Quick service and a fair price, thanks so much. If you guys ever add GE induction cook top modules to your list of available repairs, I am in need of service there so keep me informed. Apr 03, 2013 I just wanted to let you know how impressed I am with your company. Most folks would be leery sending off an important part of their stove (oven controller) to be repaired by someone they had never met or heard of. My oven had not quit working, just the broiler. I filled out the paperwork according to your instructions, and sent it off. In a few days I received an invoice, which I promptly paid, and it wasn't long and I received notice that my controller was being shipped back to me. I later received notice when it was delivered. Installed the controller last night and it worked like a charm. I just want to say that your company did a great and professional job, and I really appreciate the well thought out and smooth process I went through to get my controller repaired. Since there are no parts available to replace it with, you were my last option. Next time you will be my first option. Great work! and thanks again. Mar 29, 2013 Service was great Howard. Over is baking like a champ. Thanks for being in business. I would have hated to go buy a new stove just because of a timer. Mar 18, 2013 Excellent service, and good response, really exceeded my expectations. Mar 18, 2013 Thank you for your follow up. Your service was wonderful. The EOC is installed and we are the only owners of a bi-lingual oven controller in our neighborhood. It has improved my wife’s French cooking talents immensely. Mar 12, 2013 Everything worked fine after your repair. Thank you. It saved me from having to buy a new stove. Mar 08, 2013 Thanks for making the repair of our stove a success. We enjoy fixing things and making them last but could not do much with our stove without your help. The transaction was easy and worked out as communicated in your web site. The hardest part was teaching my wife to use a camp stove while the parts were being repaired! Thanks again, it was a pleasure working with your company. Mar 04, 2013 Thank you for following up on the oven timer repair. We installed the unit a week or so back, but didn't get a chance for a thorough test until last night. And the oven is back in business! This is a tremendous help since now we will not have to replace the range for big $$$. Thank you for the expert, timely service. Mar 04, 2013 Holy cow, my oven works again! What a great you service you provide. Thank you! Mar 04, 2013 Howard, my timer works like new! Couldn't be more satisfied with the job you guys did! Feb 24, 2013 Great repair and Service and good turnaround time thanks from a happy customer. Feb 22, 2013 My timer is working great. The appliance company quoted me $800.00 to fix it with no guarantee. I was lucky to find your site because I did a search for 'controllers' and other names I can't remember and never found your site. When my technician called it a 'timer', I quickly did a search for 'timer' and found you. Feb 22, 2013 The timer works great. Greatly appreciate your help in fixing the timer for me since a new replacement was not available. I would highly recommend you to anyone that would be in need of your services. Feb 19, 2013 Appliance Repair Service got the job done quickly and efficiently. Was notified right away when repair of our stove timer was finished and had no requirement to pay for anything up to that point. Timer works perfectly now. Feb 18, 2013 I have received the new timer And installed it. PERFECT!! Outstanding service. I plan to send the old one to you so I will have a spare. We plan to keep the range for a long time, and I expect the new one to dim in time. I will likely be the only human on earth to have a spare. It took me 5 years to find the one you sold me. I bought a new one, rather than have mine repaired. My wife would not have been a happy camper being without a range for three weeks. Thanks again. Feb 14, 2013 The timer was easily installed and is functioning nicely. My wife's great whole wheat bread is again on our table. and am happy with the results. I figure we saved $400 to $500, if we had needed to purchase a new stove. Thanks for your good and simple management. Feb 10, 2013 I had originally called Sears Canada to ask about a replacement timer for our Frigidaire range which is about 15 years old and still in great shape. They quoted me over $500.00 just for the part! I found ApplianceTimers.com and they sent me a timer for around $200.00 after taxes, shipping and the core return refund. The service was excellent and they saved me $300.00! Feb 08, 2013 Thanks for the repair!! Repair cost $126, a new replacement part would have been $240. Glad to see the art of fixing things is not completely lost. Turn-around time was really quick. Feb 04, 2013 I bought a brand new top of the line Kenmore Convection Oven,8years later, Kaboom on a Friday night. All lights went in the house. It turned out to be the Range that tripped the main breaker. We thought the Range was ready for the curb. Thanks to the excellent service and knowlegeable staff, my confidence was with them in saving me a fortune. Sears told me the life of a Range was 10 years. I asked her who can afford to replace appliances every 10 years. Once again, the technical support in knowing that the manufactuers part was faulty from the get-go was the problem. Do yourself a favor, with a 1 year guarantee and hundreds of dollars less, don't call a repair person, call ApllianceTimers.com. 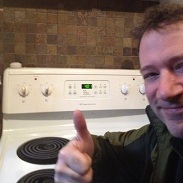 Jan 30, 2013 All went Excellent re my Oven repair. I Sent oven control to you for repair and it was back and in oven operating in "No Time". Thank You, for a Job WELL DONE!! Jan 25, 2013 I added an "excellent" review on Google+. Thanks for the great service. Jan 18, 2013 I received the repaired timer over a week ago, it worked fine, and I am very happy with your service. Jan 18, 2013 I was very pleased with your service. Thanks so much...you saved us a lot of money! Jan 11, 2013 I am extremely pleased with the repair to my electronic controller. I installed it on Christmas Eve and the oven has worked in the days since. Jan 11, 2013 Very happy with the successful repair service provided. Intelligent and friendly customer service and unbeatable turnaround time. Jan 11, 2013 Your service was excellent from talking with someone on the phone providing guidance, to delivery of the product, to installation instructions, as well as product return. I will do business with you again. You provide a fair price for excellency. Jan 10, 2013 Your service exceeded my expectations - thanks! I 'liked' you on Facebook. Jan 07, 2013 I was able to remove my GE electric range timer, send it to you for repair and re-install it with no problems. The repair was successful! This saved us from needing to purchase a new stove, as a replacement timer was no longer available from the manufacturer. Thank you so much for your great service, especially over the holiday season. Jan 03, 2013 We did receive and install the repaired timer and it is perfect. Unfortunately, we do not have facebook or google accounts so we cannot write a review. However, we think everything about the repair was AAA+, couln't have asked for better service.